Mom – knowing her young daughters feet would soon grow out of the expensive boots – said no to buying the pair. I had a chance to try out some of the “snaps and poppers” that YourselfExpression has to offer – and I have to say, this may have come from kids – but I love it as an adult. 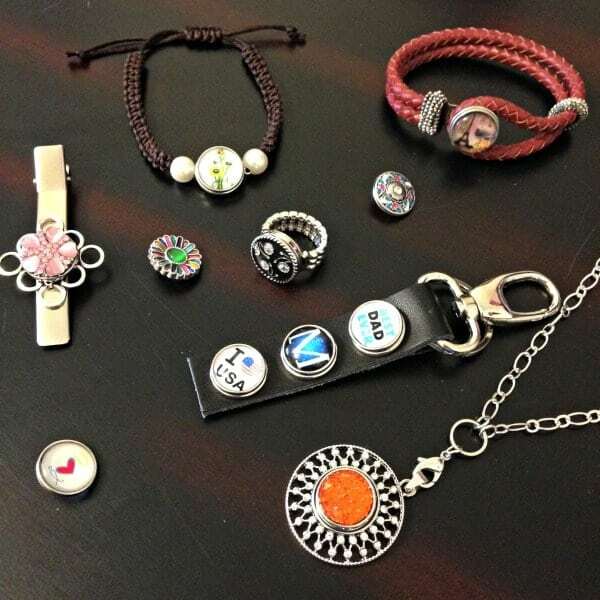 YourselfExpressions jewelry prices range from $3 – $22, making it affordable for everyone. My teenage daughter pretty much stole every piece I received for review, and has been wearing them non stop. Her favorite piece is the Brown Pearl Braided Bracelet that she changes the “snap” on every…single…day. I managed to wrangle back the Princess Snap Necklace which I have on an extra long chain. It is a great accessory that hangs low enough not to conflict with my Open Hearts necklace that I wear daily. YourselfExpression is a ground floor business opportunity offering a great opportunity for teenagers and their parents to work together and grow while making an income and promoting entrepreneurship. You can check out everything YourselfExpression has to offer by visiting their website.